UK based e-commerce startup UserReplay has signed a one-year deal with ACHICA to help the members-only luxury lifestyle store offer its customers a better, slicker, easier website experience. UserReplay said its platform is designed to help companies with e-commerce channels understand the difficulties their customers face when using their websites – such as technology problems, poor usability and navigation difficulties. Acting like a black-box recorder, UserReplay tracks customer journeys through the site to provide insights into their shopping experiences. The deal will see the luxury lifestyle store use the UserReplay platform to track customers struggling on the website and identify issues in real time, helping ACHICA improve the customer experience and increase conversion rates. Venn Luscombe-Mahoney, chief technology officer at ACHICA, added: “It’s important to Achica to be able to be able to see the customer journeys that UserReplay tracks in real time – this data can then be pulled straight into our own analytics systems. John Thompson, UserReplay chief executive, said: “ACHICA caters for customers who want to buy high-quality products quickly and easily. 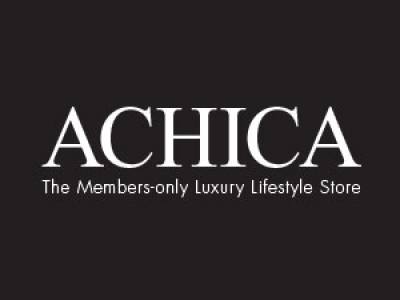 The website needs to reflect the luxury element of ACHICA’s proposition. The UserReplay integration enables the company to do everything it can to make the whole customer experience as slick as possible. “Increasing customer conversions by just a couple of percent can boost profit margins for any business that sells online, and UserReplay’s aim is to provide these brands with a cost-effective way of doing so. ACHICA is just one example of the brands we are working with to achieve these ends,” he continued. In December, UserReplay closed a seed-funding round of $500,000 (£300,949) to bring the total funding raised by the British company to date to $2.5 million (£1.51m). The company also works with brands including Sports Direct and DirectFerries.com.